Most of today’s extreme metal music is hard to ignore. Guitar riffs rip through speakers with teeth-clenching sonic clarity. Snare drums crack like lightning while kick drums bullet out with machine gun speed. Demonic-sounding vocals are so forceful you can imagine them shredding throats and rattling ribcages. Thanks to the power of modern recording technology, you can’t help but hear all of it. Yet despite the advancements in audio engineering, some metal bands, particularly in the black metal genre, choose to distance themselves from these new standards. The result is a lo-fi listening experience that is off-putting when put next to other modern metal albums. Black metal is a genre of metal that favors atmosphere over clarity. Much of that is achieved through a dreary, droning wall of sound that incorporates rapid tremolo-picked guitars, blasting drums, and screeching vocals — if you can make them out among all the muddiness. For many black metal bands, getting the right “grim” sound is as important as the songs themselves. It’s an interesting aspect that separates black metal from other metal genres. Make no mistake — the decision to choose this lo-fi sound is intentional. Historically, black metal has done so to outright spite the mainstream sound; more recently it serves to honor a given band’s black metal influences, hearkening back to a time before equalizing and compressing were ubiquitous. But perhaps most of all, it forces listeners to do just that: really listen. I’ve talked about the intensity of black metal before, but only in the live setting. For its recordings, black metal shares that sense of uncompromising focus and drive, however, it also carries with it a legacy and an ideology in regards to how it sounds. This ideology — spurred on in large part as a reaction to the rising success of speed metal bands like Metallica — fueled black metal’s preference for slower tempos and grittier production. Where most mainstream metal is in-your-face, black metal tolls like a funeral bell — hollow, echoing, resounding. Many early black metal bands like Venom, Bathory, and Mayhem lacked proper recording equipment or funds to record in high-end studios; their low-budget, sometimes DIY recordings would end up serving as hallmarks of the genre’s sound. A mythos surrounding why its bands continued to take the lo-fi road began to grow, and soon established bands like Darkthrone, who could afford better production, chose to forego it for their later albums. For that, we ended up with albums that are widely considered masterpieces. Black metal bands nowadays are fully conscious of the legacy of their progenitors. Listen to any modern black metal band, and it’s highly likely they’ll have a lo-fi sound complete with subdued guitars, flat-sounding drums, and reverb-laden vocals. The raw sound is now less a product of an environment and more of an artificed effort — the result of musical influence. Black metal’s origins began in countries like Norway and Sweden — places known for their cold, dreary winters (and their distance from the glamor of Hollywood), so it seems particularly pointed that black metal bands from California or other major metropolises would choose to indulge in poor production. Like their forebearers, they’re making a point. This has caused the black metal community to seek out, even expect, what any layman listener would consider “bad” production, simply because the olden ways have such history with it. It has formed a great sense of elitism that many fans (myself included) have sought to understand more about. A perfect example of this is pop singer Amalie Bruun. 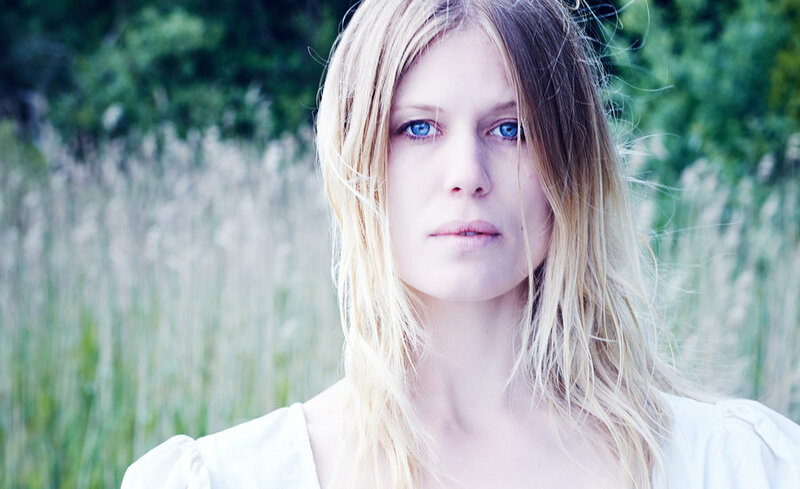 In 2014 she was revealed as the creative mind behind the one-woman black metal band Myrkur, who had released an EP that year to mostly favorable critical acclaim. The revealing of her identity, as well as the lo-fi production of the EP and her 2015 album, M, is steeped with black metal mystery and allure. Unlike her well-produced pop music, Bruun chose to embrace the full agenda of black metal to strengthen her musical offering to her new audience. With the advancements in recording technology being what they are today, black metal bands who choose to indulge in poor production aren’t just making their music “unlistenable for the masses.” They’re cutting down the fluff in order to make the listener work for the experience. It is their prerogative that their music should not simply be heard but listened to. When I discover a new band and find they’ve adopted the lo-fi sound, I see it as an invitation. “Come, take a listen,” the band says from the bottom of a dimly lit stone staircase. “Wonders await, but only if you challenge everything you once believed.” I may not always care for bands like these, but I deeply respect them for their choice, the sacrifice made for their artistic ideals. I think one way to go about all of this is to look back on the live shows you’ve seen. Think of how infectious the energy of the band was, how elevated of an experience it felt to you. Even songs you may not have cared for on CD felt impressive, grand even. That’s what I think lo-fi production is trying to accomplish in a sense. The band is eliminating the layers you have to work through to connect you with their music. They’re trying to give you the purest listening experience possible, and since they don’t have the advantage of live adrenaline to carry you, they’re hoping that you’ll do most of the work for them. And judging by the sheer number of bands that have followed the true dark path, it’s a gamble that’s been paying off for the better part of thirty years. 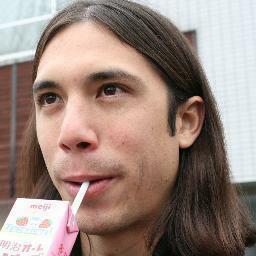 Behold the new face of black metal. Lo-fi black metal has not really penetrated the mainstream — well, as much as metal can be mainstream at all. But it is starting to show its evil influence. Just like records have a retro appeal for collectors and music enthusiasts, many black metal artists are releasing their brand new albums on cassette — hearkening back to the tape-trading of metal’s heyday. It’s as elitist as it is pretentious, yet for black metal it earns a degree of authenticity. Achieving the right lo-fi sound takes effort — moreso than simply recording on antique equipment. To give it the proper treatment that is due the genre’s legacy, bands must be willing to do so in earnest. If you’re up to giving black metal a try, it’s up to you to unlearn what you have learned. It may take a lot out of you, but in the end I think you’ll find it a unique listening experience.